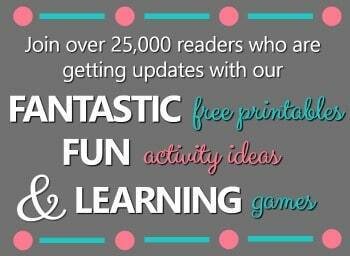 By Kayla Dees Leave a Comment · This content may contain affiliate links. To celebrate the first day of Spring, we decided to plant some flowers. 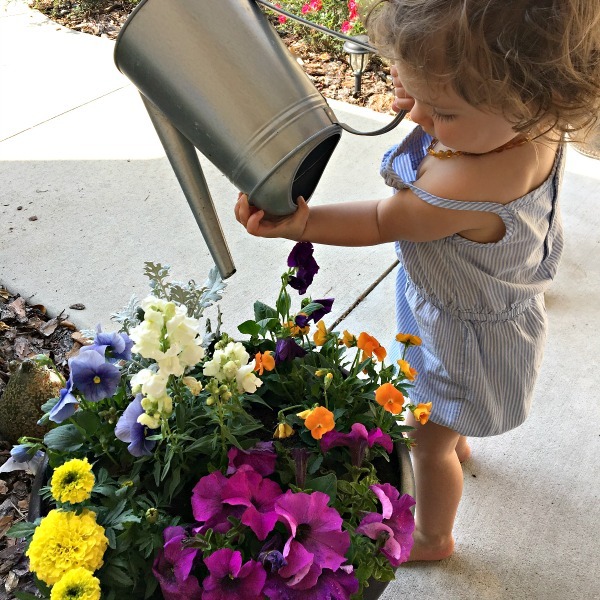 My girls excitedly ran up and down the aisles of our local garden center smelling and eyeing the rainbow of colors until they found the perfect ones to bring home. 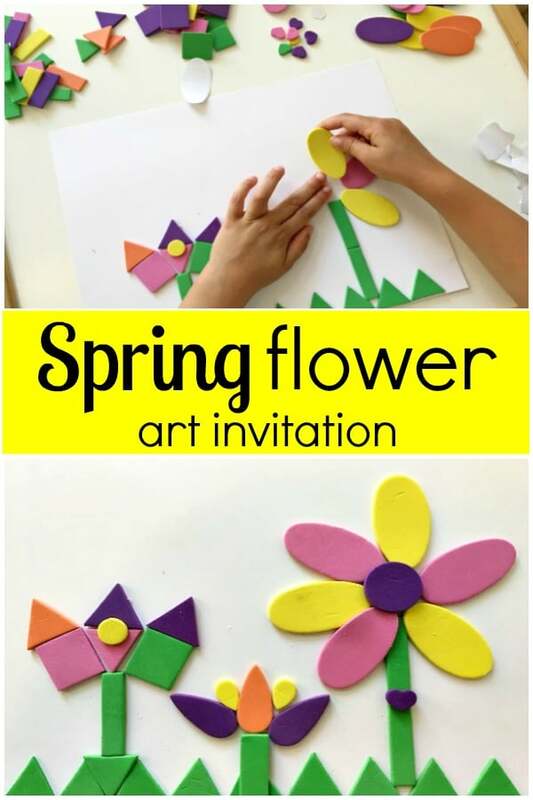 After we got our flowers into the soil and gave them plenty to drink, I decided to follow up on the fun with a flower art invitation. 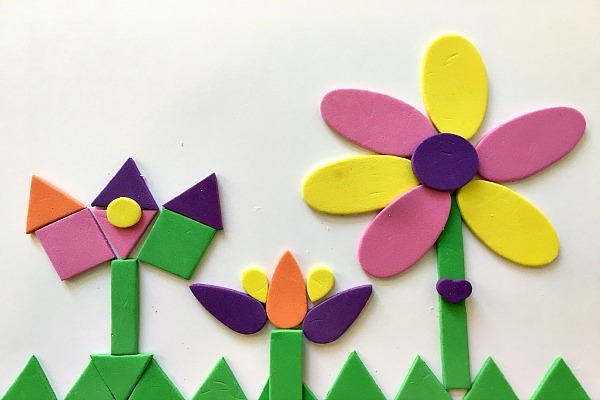 I set out some foam shape stickers in pretty Spring colors and invited them to create their own beautiful garden of flowers. I chose to have their art project done on card stock paper so that it would support the weight of the foam stickers once displayed. A thick construction paper would work well too. 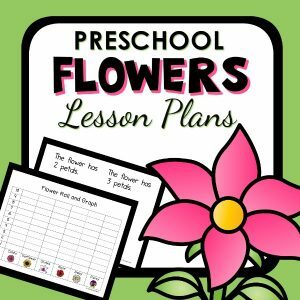 FIND EVEN MORE SPRING THEME ACTIVITIES IN OUR PRINTABLE SPRING LESSON PLANS AND OUR FLOWER THEME LESSON PLANS. To get started, I took the opportunity to practice sorting by asking my preschooler to identify and sort the stickers by shape. 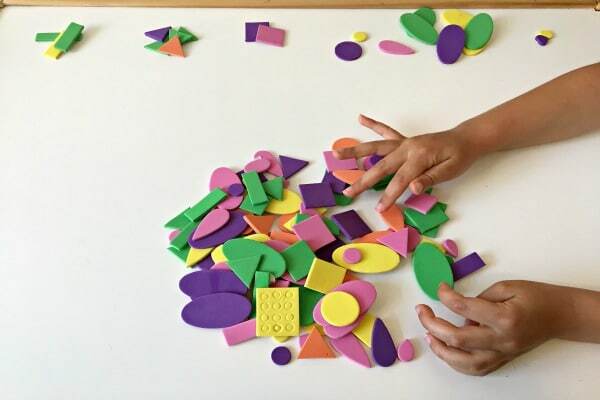 She created piles of ovals, rectangles, circles, hearts, triangles, squares, and even raindrop shapes. This served as an excellent review as well as an organizational tool for the art project. Once ready to begin, she immediately went for the green triangles to create some grass. 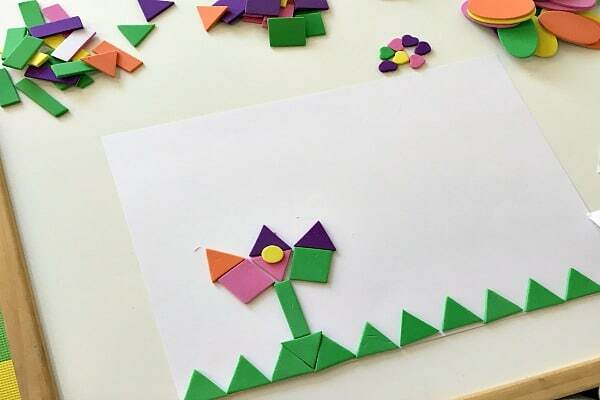 She then meticulously moved on to using rectangles to build the stems and a variety of shapes for the flowers’ petals. I was impressed by her incorporation of patterning and loved seeing her imagination run wild as she created one flower to resemble a castle! 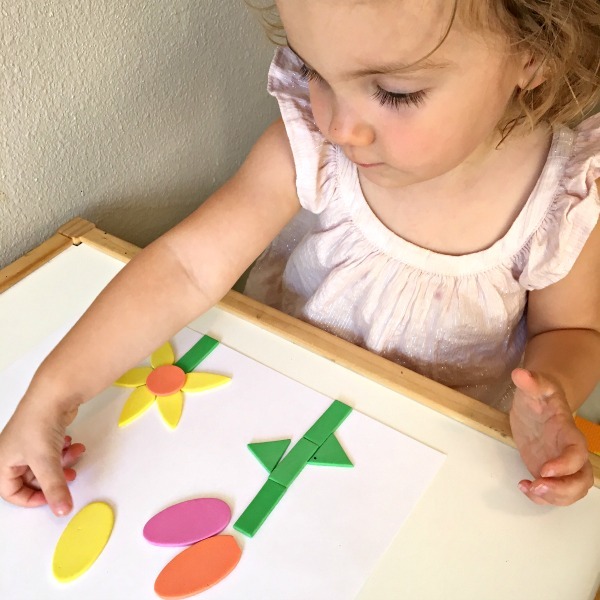 Although open-ended, this art invitation was a great opportunity to work on some basic shape and color identification with my toddler. 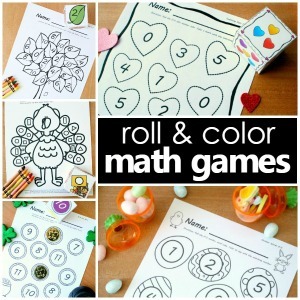 As she reached for each sticker, I would simply reinforce the shape and color as I helped her form her garden. She was quite proud of herself each time a sticker was added and gave herself a round of applause! Once the girls were finished “planting” their flower shapes garden, we hung them up in our kitchen so that we would have beautiful Spring flowers to admire inside and outside. What are some favorite things you love to do to celebrate Spring? 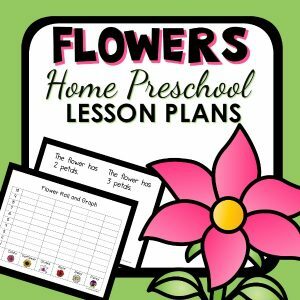 Get a full week of playful flower theme ideas!